All our professionals at Gilbert Cardiology maintain the highest levels of accreditation and pursue ongoing education to stay abreast of the latest trends in cardiology. Dr. Zaki Lababidi FACC, FSCAI, the founder of Gilbert Cardiology, has over 15 years of experience in cardiovascular medicine. He is board certified in cardiovascular disease and has specialized in interventional cardiology, a subspecialty of cardiology dedicated to the diagnosis, medical and catheter-based therapy of patients with acute and chronic forms of cardiovascular disease. Dr. Lababidi also specializes in treatment of patients with congestive heart failure, coronary artery disease, heart attack, abnormal heart rhythms, peripheral arterial disease (PAD), and varicose veins. Dr. Lababidi FACC, FSCAI completed his internal medicine residency in 1992 at Mercy Hospital and Medical Center in Chicago, IL. He did serve as chief resident from 1991 to 1992. He went on to participate in a cardiology fellowship at Marshall University in Huntington, WV. He completed this fellowship in 1995. Dr. Lababidi FACC, FSCAI was in private practice in Chicago, IL for several years prior to returning to fellowship once again in 2004. He completed his Interventional Cardiology fellowship in 2005 at the Arizona Heart Institute in Phoenix, AZ. 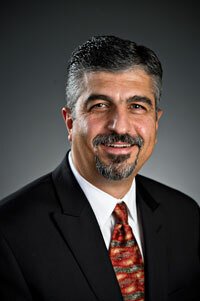 Dr. Lababidi FACC, FSCAI founded Gilbert Cardiology in 2007. Dr. Lababidi FACC, FSCAI has served in administrative capacities as the Director of the Department of Cardiology at Roseland Community Hospital in Chicago, IL as well as the Associate Director for the Coronary Care Unit at Mercy Hospital in Chicago, IL. Dr. Lababidi FACC, FSCAI is currently the Director of Echocardiography at Mercy Gilbert Medical Center in Gilbert, AZ He actively participates in the educational preparation of medical students and serves as clinical assistant professor for Midwestern University. Over the past years, Dr. Lababidi FACC, FSCAI has participated in numerous cardiovascular research trials including the MARVEL, CORAL, PROTECT II, and TRACER trials. He has actively participated in a Phase I study of intracardiac injections of autologous myoblasts in to transmural scar as well as the clinical evaluation of drug eluting coronary stent systems. Dr. Lababidi’s research work has been published in the Journal of the American College of Cardiology Intervention, among others. Dr. Lababidi FACC, FSCAI is currently a member and has been appointed fellow in the American College of Cardiology and the Society of Cardiovascular Angiography and Intervention. He is a member of the Arizona Medical Association and the American Society of Echocardiography. 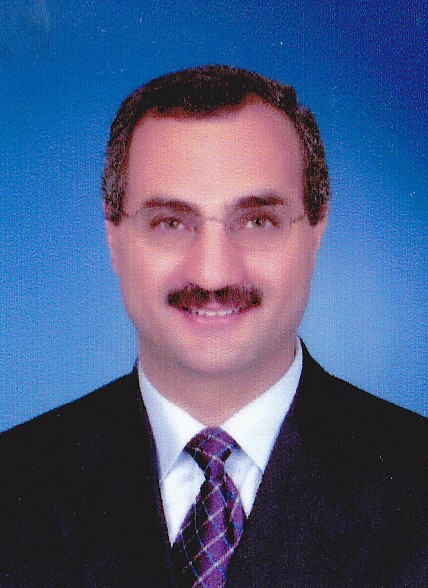 Dr. Khaled Albasha is an interventional cardiologist board certified in Cardiovascular Diseases and Nuclear Cardiology. He joins Gilbert Cardiology with over 15 years of Cardiovascular experience. Dr. Albasha is an established cardiologist in the community with a special interest in Interventional Cardiology, as well as, Cardiovascular disease diagnosis and management. Dr. Albasha completed his Cardiology Fellowship at Cook County Hospital in Chicago, Illinois in 2001 where he served as Chief Fellow. He went on to complete an Interventional Cardiology Fellowship in 2006 at Arizona Heart Hospital. Dr. Albasha has participated in several research studies, including Phase I clinical stem cell research for patients with congestive heart failure and Phase I clinical research in the treatment of patients after acute myocardial infarcgtion. Dr. Albasha’s research work has been pubslished in local community publications as well as nationally recognized peer reviewed journals such as Circulation. Dr. Albasha is currently affiliated with Banner and Dignity Health Care hospitals including Banner Desert, Mercy Gilbert Medical Center,and Chandler Regional Medical Center . Sharolyn McClurg, originally from North Dakota, has over 10 years of nursing experience and has been a nurse practitioner since 2003. She obtained her Bachelor of Science in Nursing from North Dakota State University in Fargo, ND. Sharolyn practiced nursing in telemetry and Coronary Intensive Care prior to returning to complete her training as a nurse practitioner. She attended the University of Minnesota in Minneapolis, MN and graduated in 2003 with specialty as a Gerontological Nurse Practitioner. Sharolyn has provided care for patients in a variety of settings, from their homes to the hospital. 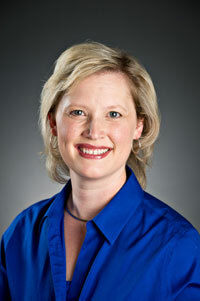 She joined Gilbert Cardiology in 2008 and currently serves as the Vice President of Clinical Operations. Sharolyn and her husband, Philip, have 2 children and live in Chandler. 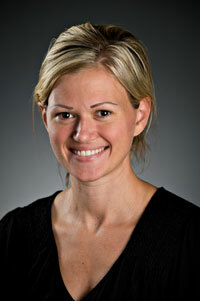 Lauren Woffinden is a board certified Adult Nurse Practitioner and joined Gilbert Cardiology in 2011. She is originally from California and earned her Bachelor of Science in Nursing from Brigham Young University in Utah in 2004. Lauren practiced nursing for several years in the Cardiovascular Intensive Care Unit and Intensive Care Unit and brings with her a wealth of knowledge and experience in caring for patients with complex cardiovascular disease. She did serve as an RN Manager of the Cardiovascular Intensive Care Unit at Banner Heart Hospital prior to her departure in 2011. Lauren earned her Master of Science in Nursing from Arizona State University in December 2009. Lauren has actively participated as a preceptor and mentor for nurses at a variety of levels and was the chairperson for the Hypothermia Program at Banner Heart Hospital. Lauren and her husband, Jordan, have two beautiful children and reside in Gilbert. She enjoys kickboxing, aerobic classes, and is active in her church.